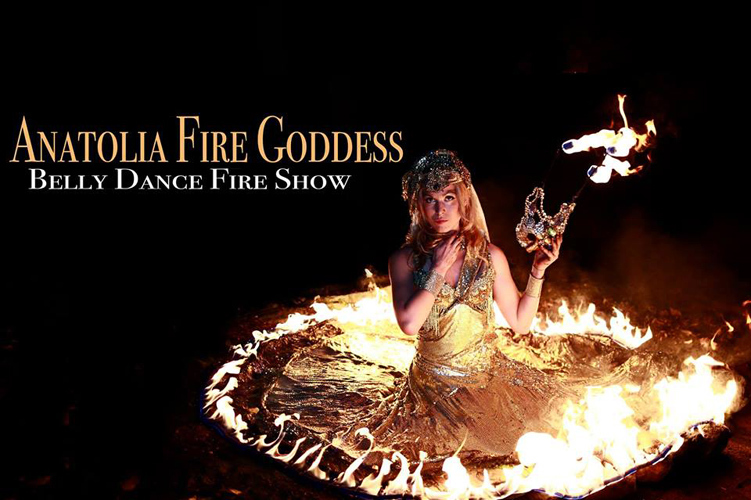 Anatolia the Fire Goddess is an international belly dancer based out of New York City and Connecticut. 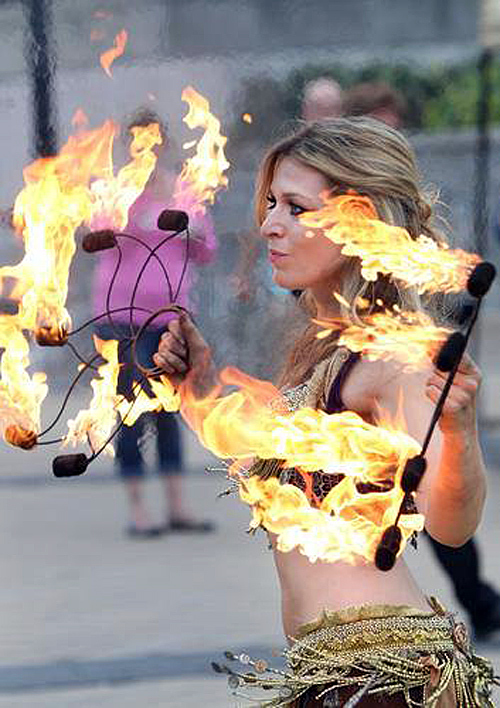 The Fire Goddess weaves a spectacular story with her technique, creativity and skill. 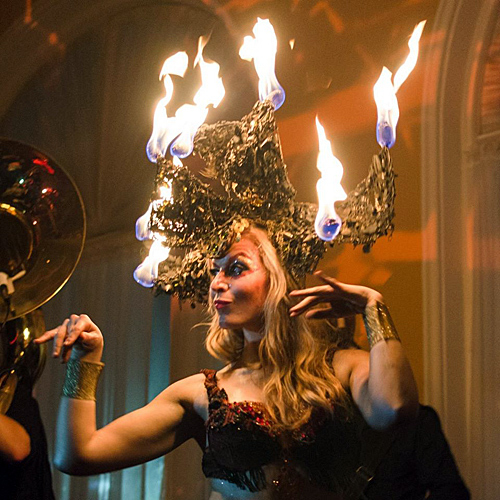 She is notorious for her unique style and custom props and costumes; including a ten foot golden fire dress (tanora), fire isis wings, crystal ball contact juggling and magnetic fire masks. Her truly one of a kind acts have been performed from India to Egypt. Blending traditional and fusion belly dance styles; what she likes to call “Neo-Cabaret” Anatolia never leaves room a dull moment. 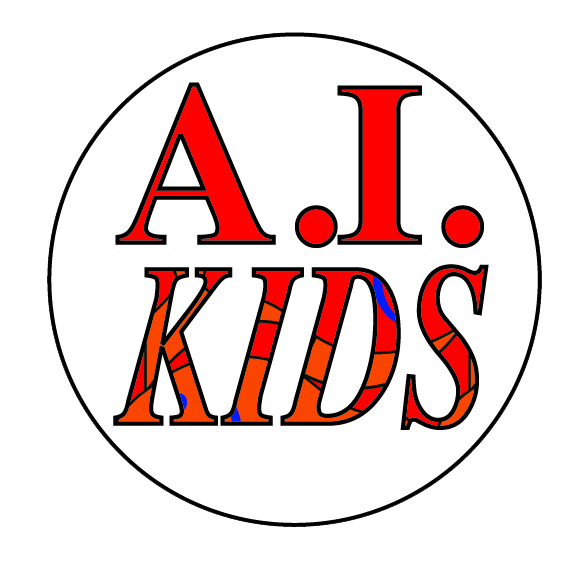 Anatolia is a dynamic public figure, featured in Rolling Stones Magazine, Entertainment Weekly, VH1’s Who was I in HightSchool and much more. Her performances ranges from corporate to runways shows. Hired to preform for Dances of Vice, Tumblr, Yale secret society, and Whistling Pig Whiskey. I’m a visual and performance artist. Why breath, eat or drink? I guess it come natural. If art was illegal I would be in jail. Watching my grand mother paint. Painting (Batiking fabric), performing with fire, when I dance with fire I think of it much like pairing. I always have and imagine in my head and I try to manifest it. It’s unique, its my own expression. You don’t want to know, and I don’t want to tell.